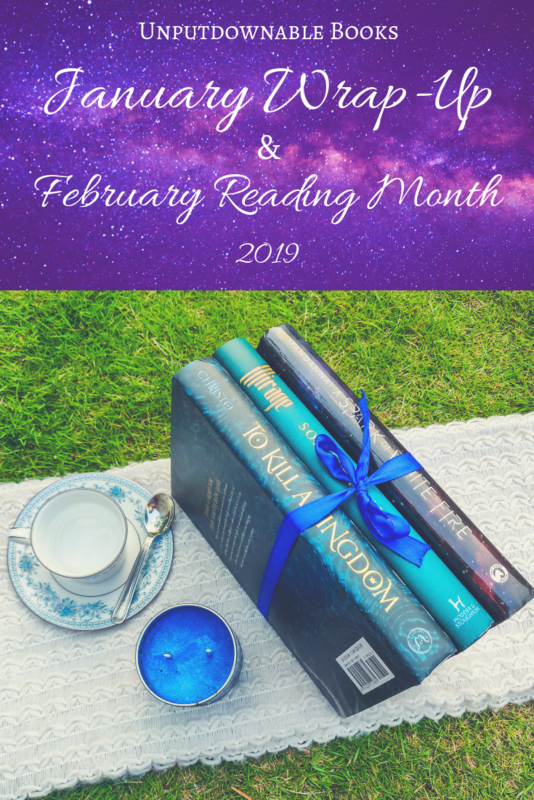 It was a very slow reading month for me as I concentrated on getting my blogging life in order. While the latter is still in a questionale status, I managed to read only 2 books amongst all the madness. As you may know by now, I run a book club called Stars and Sorcery on Twitter. 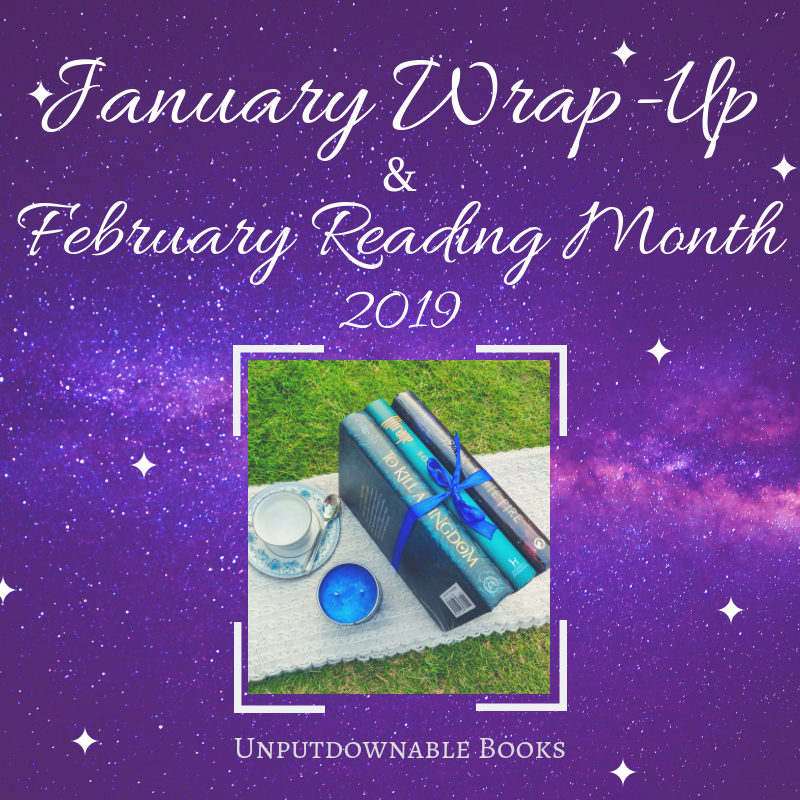 The pick for January was Girls of Paper and Fire by Natasha Ngan, which I finished almost towards the end of the month. It didn’t quite live up to the hype but I enjoyed myself nonetheless. 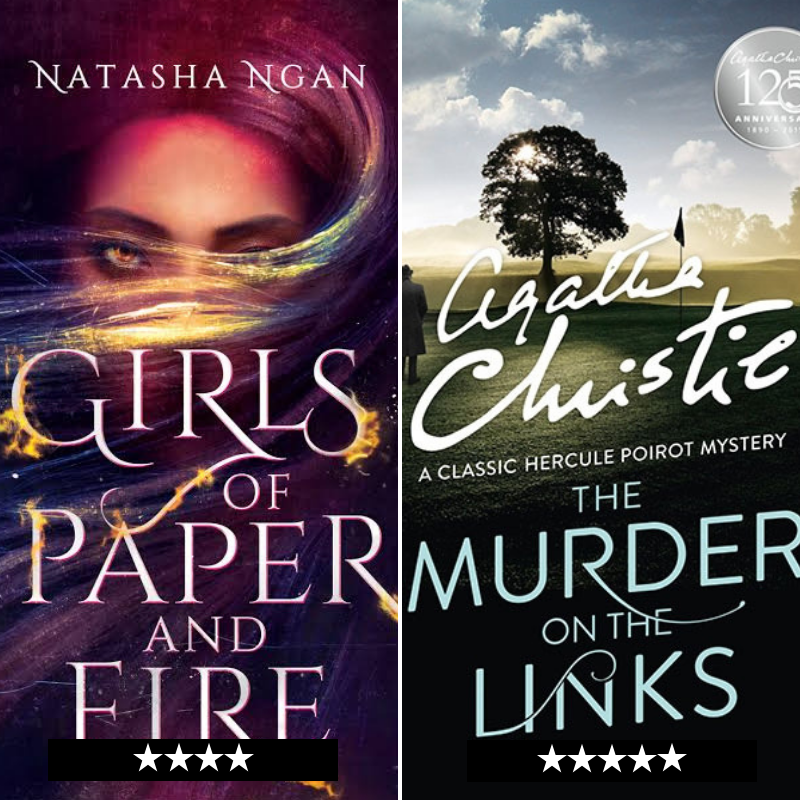 After that I read The Murder on the Links by Agatha Christie, the second in publication order of the Hercule Poirot series. I love how intricate her plots are and how they keep me guessing till the last second and this one was no different. I read it as a part of the Classics and Christie book club run by Fanna @ Fannatality and Simant @ Flipping Through the Pages on Instagram. The third book club I’m now a member of, the Banned Book Club run by Shruti @ This is Lit, was reading The Girl with the Dragon Tattoo by Stieg Larsson. I was only done with 30% of it by the end of January and I plan to continue it in February. I hit 750+ followers on WordPress – thank you all for deeming my blog worth following! 700+ followers on Twitter – I’m so very happy but I’m focusing on creating good original content there too. 450+ on Instagram – this particular platform has been hard for me to crack but I think I’m finally getting the best use out of it. I posted my first author interview of 2019 with one my all-time favourites, Roshani Chokshi! I was accepted to review and sent some really exciting upcoming releases as well as welcomed into street teams and blog tours – thanks a ton for all the lovely opportunites! 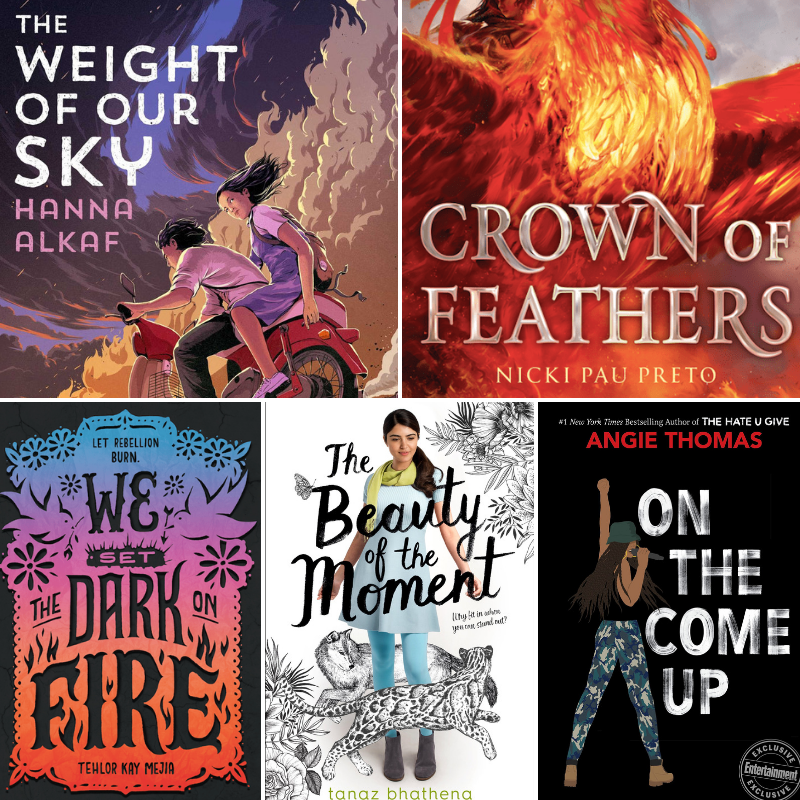 Simant @ Flipping Through the Pages lists 28 YA contemporaries featuring LGBTQ+ rep that will be released during the first half of the year. CW @ The Quiet Pond shares the stories of 8 amazing book bloggers on how they manage their blogging and other aspects of their life. Marie @ Drizzle and Hurricane Books recommends 10 feel-good books that are guaranteed to turn that frown upside-down. For the sake of simplicity, I’m leaving out the books mentioned in my ‘15 Most Anticipated Fantasy Books of 2019 (Jan-Jun)‘ post. As I discussed previously, I will be focusing my energy on finishing The Girl with the Dragon Tattoo. I need to read The Gilded Wolves by Roshani Chokshi for Stars and Sorcery book club and The Man in the Brown Suit by Agatha Christie for Classics and Christie book club. I have planned some exciting buddy reads for Descendant of the Crane by Joan He and Starfish by Akemi Dawn Bowman. I will also try to get some pending ARCs done if time permits. Before we discuss, I’d like to announce that my 2nd blogoversary giveaway is now closed and the lucky winner is Dany @ Ambivert Words! Congratulations! How was January for you? Did you read as much as you wanted to? What are you looking forward to the most in February? Let’s discuss in the comments section below. Wow! You’ve had such a great month. Congrats on 750 followers, you deserve this and a lot more. Oh, you are reading Swedish crime, I look forward to hear what you think. I remember enjoying it but it is not one of my favourites. The English title is a bit de-politicized, the original title of “The Girl with the Dragon Tattoo” would translate into “Men Who Hate Women” so I guess that was the theme the author aimed for. It looks like you had a productive January. I’m really excited for On The Come Up by Angie Thomas. The Weight of Our Sky sounds (and looks) amazing! Congratulations, Nandini!! You deserve all those followers and more! I only read like 2 books in January? But am planning to raise that (I mean, I’m going to say 5 for now) this month.